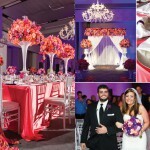 Austin wedding blog features & publications! I thought it would be fun to share some recent awesome publications & features from one international and one Austin wedding blog with you! Victoria & Nate’s gorgeous Vintage Villas wedding blog feature by Austin Wedding Day is sure to leave a tear in your eye, and take your breath away! Next up is Lindsey & Adam’s stunning fall wedding at Cricket Hill Ranch Wedding on Rustic Wedding Chic with the sweet team at Pearl Events Austin! You can see their whole wedding on my blog here, too. Kala & Ryan’s drop dead gorgeous Villa Del Lago Events wedding with Pearl Events Austin and fireworks by Big Dog Pyro is up on Artfully Wed. You can see their whole wedding on my blog here, too.